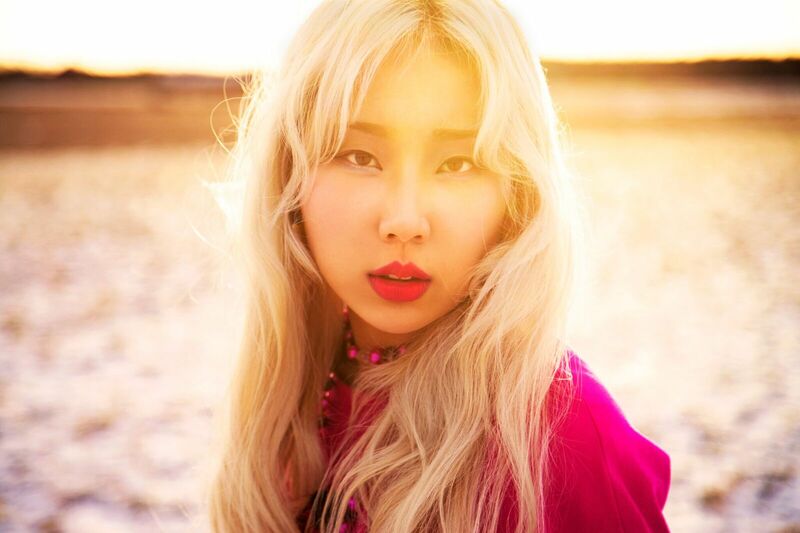 South Korean native and London based K-pop prodigy ARTLOVER has announced the release of her debut single “Want U Back” available on all digital retailers March 2. With a background as a make-up artist serving clients such as ELLE, Vogue and Rankin, it’s safe to assume that ARTLOVER has already had her fair share of success. The step from the world of fashion into music might be a small one but non-the less daunting. “I really wanted my debut single to shine, and I’ve always thought in terms of music when working with fashion, so it was natural to take this route” the Seoul born singer says. “Want U Back” is a rap driven Soul Pop gem dressed up in a retro suit about immature love and loss. The single is the result of a collaboration between the singer and the renowned JYP Entertainment producer Tae-Seop Lee (Twice, Day6). The track is the first single off ARTLOVER’S debut EP due out later this year. We got to ask ARTLOVER a few questions so that fans can get to know her better. Congrats on your first ever single! How was it like working on this track? Thank You, I collaborated with professional people such as Max billion and Tae-Seop Lee (Twice, Day6) at JYP entertainment. I wanted to write a song that would evoke a picture the head of the listener and I hope the result gives off a strong mood to the audience. I also wanted to visualize my concept along with the music, so we made a music video which will come out in a few weeks. I did creative directing and styling with retro clothing and collaborated with a fashion photographer. What made you want to become a rapper from being a make-up artist? I liked to dance and perform in front of people in a school when I was a kid and I got a lot of lessons from listening to hip-hop by Eminem and 50cent in middle school. I was always surround by artistic people when I work in Fashion industry in London so it was a natural step. For me it was the ultimate way of realizing a vision. Do you have any dreams or goals as a rapper? For example, performing at a certain music venue or collaborating with another artist? It would be awesome to collaborate with G-dragon or Bruno Mars! My goal is following my everyday plan and see what comes to me. If not already, do you see yourself involved in writing lyrics or composing your own music? For this song I played the chords (F#m C#m D E), and loved them, I thought it represented me really well. After I did the basic chord progression I brought it to the professionals. What is a genre of music/concept that you would like to try? So Many! As a new artist, I don’t want to give myself too many boundaries. I love Jazz and rock as well (Amy Winehouse, Imagine dragons). What can fans expect in your debut EP, if you can give any hints. I’m thinking of a more strong sound and visual concept than the single track. I may try to combine the rap with new ideas and influences, I experimented with Punk, let see if it will end up on there! As a new rap artist, where do you see yourself in the next 5 years? In Seoul and LA, surrounded by all the talented artistic people.